The NEXT Token: What and Why? In the following post, we will go over our trading platforms native protocol token, NEXT. We’ll cover the basics of the token as well as the benefits that NEXT holders stand to gain. NEXT is based on the ERC20 token standard. During the start of our project (ICO phase), the total emission of NEXT was set to 120,000,000 tokens, with unsold tokens to be burned. 75M was burned by being sent to a 0x0 address. 20M remain to be burned (this will be done upon us transitioning to our own Blockchain in 2019). Marketing reserve 16M (perhaps this will be partially burned, distributed to tokenholders or used for reward purposes). Circulating supply: 120–75–20–16–6= 3M (approximately). Indeed, the quantity of tokens reserved for development, company expansion, and marketing purposes is greater than what traders are normally accustomed too. But, when deploying the smart contract we were hoping to sell a much greater amount of tokens during our tokensale. However, a lower circulating supply will act in favor for tokenholders once greater effort is put towards generating platform and token awareness post the release of NEXT.exchange V1.0. Tokens from the marketing and development fund are currently not in circulation. The marketing fund will be used to promote our exchange platform (generate awareness for our exchange and token itself). The development fund (locked until January 2019) will be used to finance and cover developments and technological progress which will span into 2019, 2020, and so on. Development and marketing funds will not be released into the market immediately. The above information will also be made available within the Investor Relations section of our website. Uses of NEXT within the NEXT.exchange platform. It has become a common practice for exchange platforms to issue their own currency. 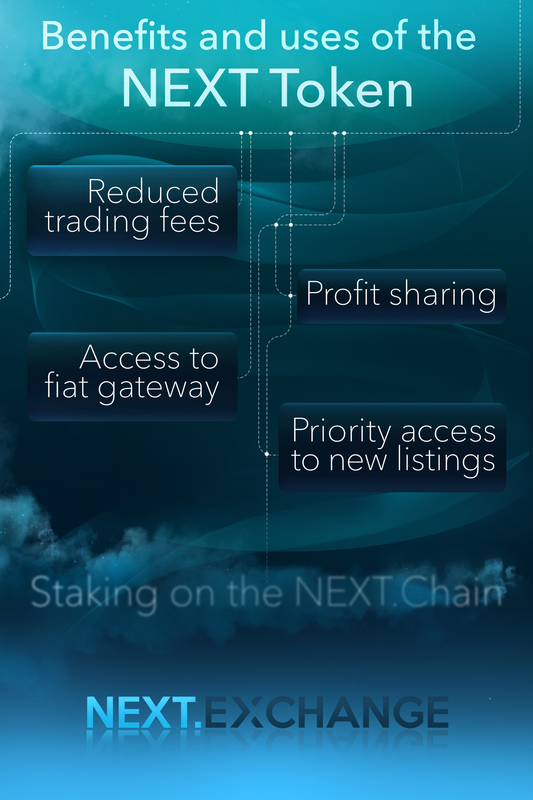 However, we at NEXT.exchange have gone above and beyond what other industry players can offer. On our platform, we have paired all digital assets with fiat currencies. At the moment the lineup of fiat currencies includes USD & EUR, after testing we will expand our fiat offerings to include RUB, CHF, TYR, YEN, GBP. Passing KYC is still a requirement to partake in fiat trading. The above token requirement to access fiat trading and withdrawals is not set in stone at the moment. Together with our community, we are exploring various options on what the entry barrier should be. The possibility of a peg to a specific dollar amount or much lower quantity of tokens required are possible options going forward. Reduced transaction fees for NEXT holders. It would be strange if our direct supporters weren't entitled to decreased trading fees. So, they get to enjoy half off on platform fees! Below is a fee breakdown. Priority trading of newly listed assets for NEXT holders. Holders of NEXT tokens will have access to trade newly listed assets on our platform prior to those who do not hold NEXT. Priority access will be granted for up to two weeks but may be lowered based on circumstances. Profit sharing for NEXT holders. Since NEXT.exchange (OpenTrader N.V. (i.o.)) is a public company, our tokenholders are entitled to all of our companies profits. Towards the end of each quarter, remaining platform profits minus operating costs will be used to purchase Ethereum. Acquired Ethereum will then be distributed to each NEXT holder based on his or her holdings relative to the circulating supply of NEXT. Financial audits will be provided on our corporate site through the Investor Relations section of our website, as well as a comprehensive breakdown of how profit sharing will work and what NEXT holders need to do in order to take part in profit sharing. The first distribution is set to take place during Q1 2019. It is within our plans and roadmap to provide access to cloud mining through our platform. However, this functionality will come at a later date and will be available via our desktop site and mobile applications (in progress for iOS and Android devices). 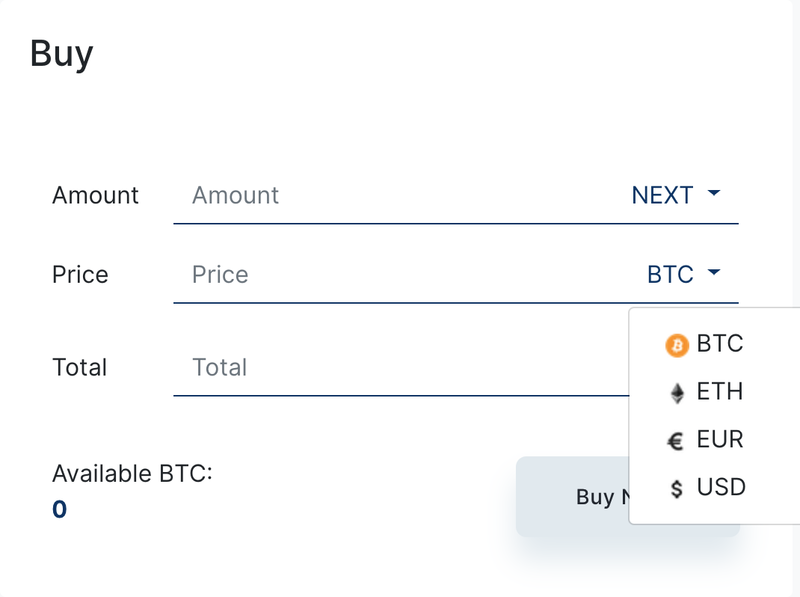 Ideally, we would like to enable this feature for all assets on our platform which can be mined. Mined coins will be distributed directly to user wallets on our platform for respective assets. More comprehensive details regarding cloud mining on our platform will be provided in a future post. This post will also be updated with relevant details. In addition to cloud mining, we plan to deploy our own Blockchain that will become an integral part of our ecosystem. 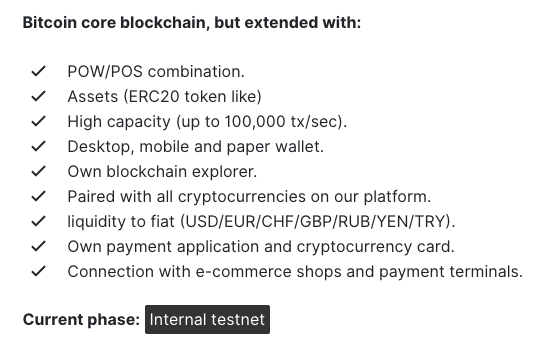 While the economic incentives are still being worked out by our team, below is a glimpse of what we hope to achieve with NEXT.Chain. While the majority of the above benefits can be unlocked with 100 NEXT or more, we are exploring various other token quantity requirements for the features that our platform offers. This post will be updated upon final decisions being reached and pertinent announcements will be made — stay tuned NEXT community.